Get the most out of Scouts Canada’s STEM program! The Scouts Canada STEM Program is designed to promote interest in Science, Technology, Engineering and Math, ignite curiosity and imagination, and empower our Scouting youth with important 21st century skills of problem solving, critical thinking, and technological and environmental literacy. If you think these sound familiar, you are right. In fact, STEM has always been a part of Scouting, be it through designing and building shelters and bridges, learning about different species, or examining the stars in the night sky. More importantly, the cycle of Plan-Do-Review is a great parallel to the cycles of scientific inquiry and engineering process where one is required to question, hypothesize, predict and design (Plan), experiment and execute (Do), and analyze and improve (Review). So it is easy to see how naturally STEM fits in the Canadian Path. Whether you are planning an adventure, executing that adventure, or reviewing the outcomes of that adventure, you are probably using one or more of the elements of STEM in integrated and intuitive ways. With the STEM initiative, Scouts Canada aims to encourage Youth and Scouters alike to make STEM a more prominent and reflective part of their programming. Over the past few years, we have developed several resources to make this task easier for our volunteer: STEM Trail Cards, STEM Kits, and support for STEM activities at provincial and national Jamborees. Now we are focusing our attention on creating and facilitating online and in-person STEM training opportunities that help Scouters better take advantage of these resources. “I really liked the hands on activities and the concrete ideas that can be used in meeting. The online module, “What is STEM?” is part of the new Woodbadge I training and introduces the Scouters to the foundations of Scouts Canada’s STEM program. The in-person STEM workshop is a more comprehensive training course that helps you better understand the program, gives you ideas for creative activities, addresses some of the common concerns we have heard from Scouters about STEM, and provides information about resources inside and outside of Scouts Canada. The 4-hour workshop starts with a brief presentation about how STEM fits into Scouting and the Canadian Path and then quickly moves into hands-on activities and discussions. Scouters get a chance to experiment with several STEM activities and share ideas on how they can adapt those for their own sections. In some cases, you will also have a chance to explore the STEM kits that are available in your area. Over the past 3 months, we have facilitated the workshop in several cities across the country and have received great feedback from participating Scouters. If you are interested in attending a workshop or if you can help us plan and facilitate one in your area, contact us at STEM@Scouts.ca. In addition to this comprehensive 4-hour workshop, we have a 1-hour version of the STEM training workshop that can be scheduled as part of Scouter Conferences and other training events. The 1-hour workshop includes a short presentation about the STEM program and its resources and a short hands-on activity. It obviously does not cover all the content of the 4-hour workshop but it can be a good starting point to ignite the discussion about STEM, allow Scouters to get a sense of the program, and direct them in the right direction to get more information. 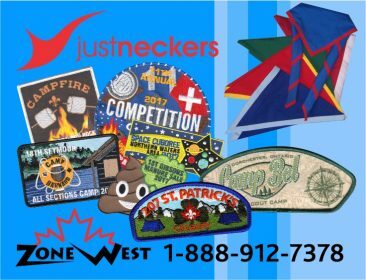 You can contact your local Council to see whether there are any sessions planned in your Scouting events and please contact us (STEM@Scouts.ca) if you are interested in helping us bring the workshop to your Area or Council event. If you need any other information about these new and exciting opportunities, or if you are already using STEM programming in your group, but would like more information about additional resources available through Scouts Canada, feel free to drop me a line. I am always happy to provide more information and share resources to help you integrate STEM into your programs!